Some garage finds uncover fire-damaged Porsche 914s with a family of raccoons living where the engine used to be, and some of them uncover stunning gems. This garage find is definitely the latter. 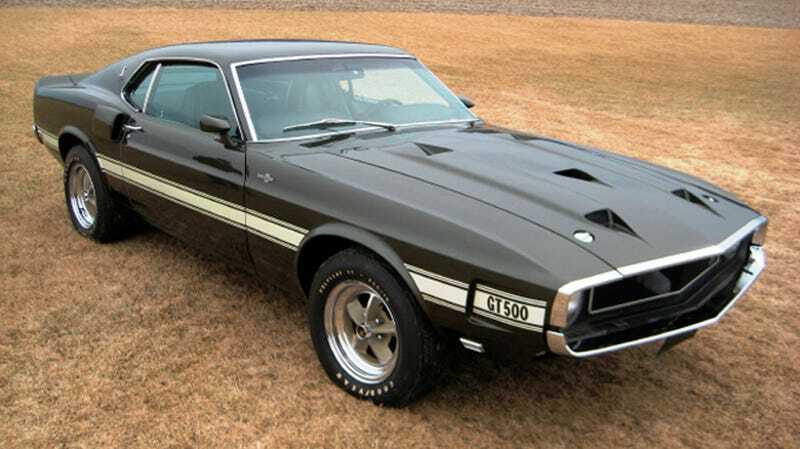 Fox News reports that a mint condition 1969 Ford Mustang Shelby GT500 428 Cobra is going up for auction soon following its discovery in a Pennsylvania garage. The snake has 8,500 miles on it (!!!) and has not been driven since 1973, but apparently still properly maintained. The auction site, Ron Gilligan Auctioneers, is down as of this writing. But our old pal Alex Lloyd at Yahoo! Autos reports only about 1,000 of these cars were ever made, making them extremely rare today. Some skeptics have doubted the car's authenticity, but the individual managing the estate says the car is indeed real and was maintained by Brown even when he wasn't driving it. It seems he hadn't taken it for a spin since the early 1970s, and even before that he never drove it in the rain for fear of rust. Brown paid $5,245 for the car in 1969, but it could fetch more than $100,000 when it goes to Auction on April 25. I hope this beautiful machine goes to a good home.